Recently, the darling of many who is without a doubt the best governor in the republic of Kenya wept in public, something that was received with mixed reactions from celebrities and the common mwananchi. Some Kenyans criticized him and the controversial and scandalous blogger, Robert Alai was not left behind. He did what he does best. In his social media post, Robert Alai claimed that Alfred Mutua was a conman and a cheat who blinded the community with fake stories. 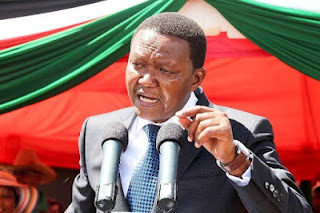 Dr. Alfred Mutua is a conman. He cons people of their livelihoods with cooked up stories and figures. Fake tears is what Alfred Mutua relies on. We can’t be so forgetful that we trust a slithering snake with our infants. Kenyans need to wake up and realise that we have many political conmen around.